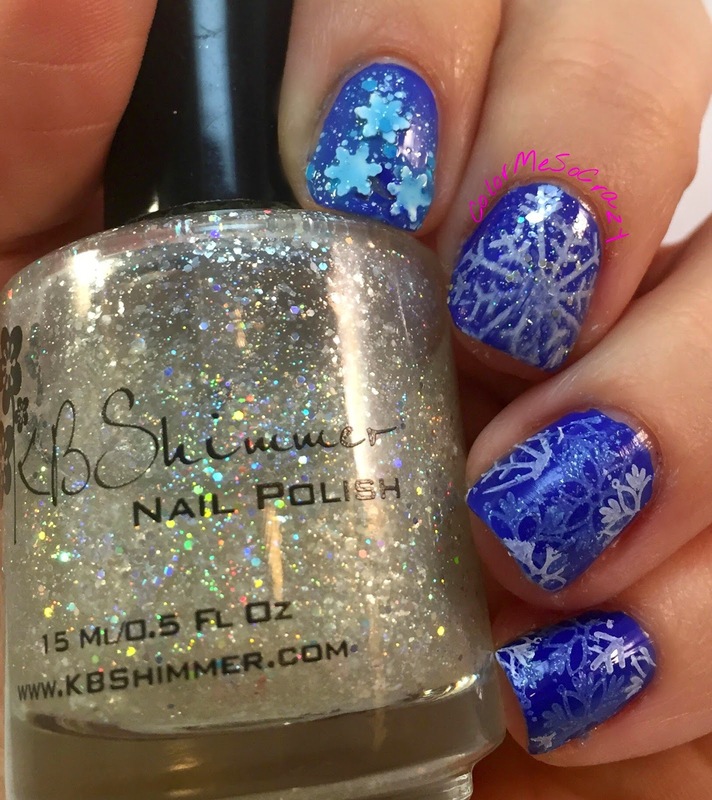 Today's look is a stamping and glitter combination based on snowflakes. This is the first stamping I have done in a loooooong time. Based on that, I need to do more to keep in practice. I promised my self for any gift cards I get, I am buying stamping supplies. I don't need anymore polishes and I don't need anymore accessories, but I do need more stamping supplies. Well, I guess need isn't the right word. I WANT! I want to upgrade. 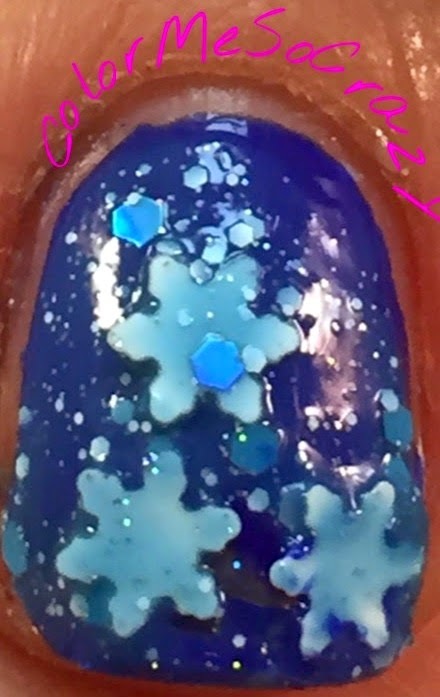 I want a squishy stamper and I want more plates. I have heard so many good things about the squishy stampers and I have been so lazy. So, part of my Blogging Resolution is MORE STAMPING! Anyway, for the most part I like the way these came out. The only complaint I have is the way the middle finger came out. It smeared when I put the top coat on. Otherwise, I love it! The colors really go well together and everything else looks great. 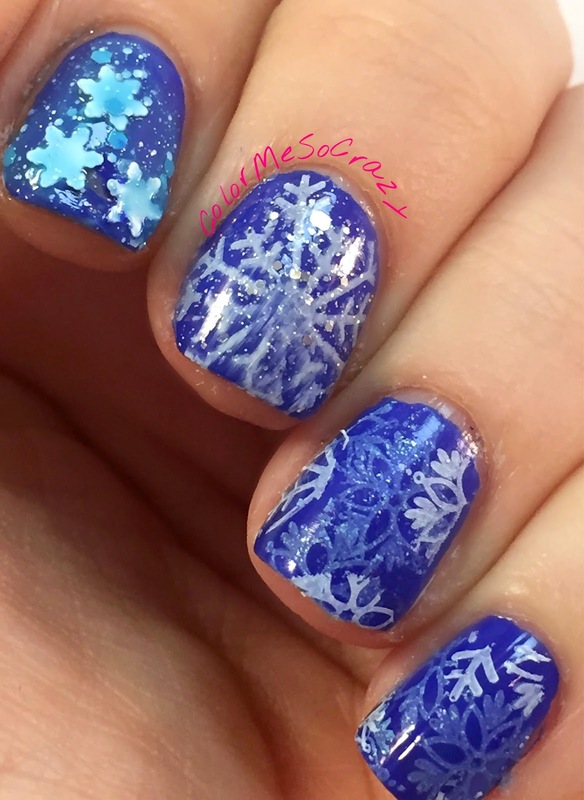 I especially love the snowflake glitters. I forgot how fun that polish is. 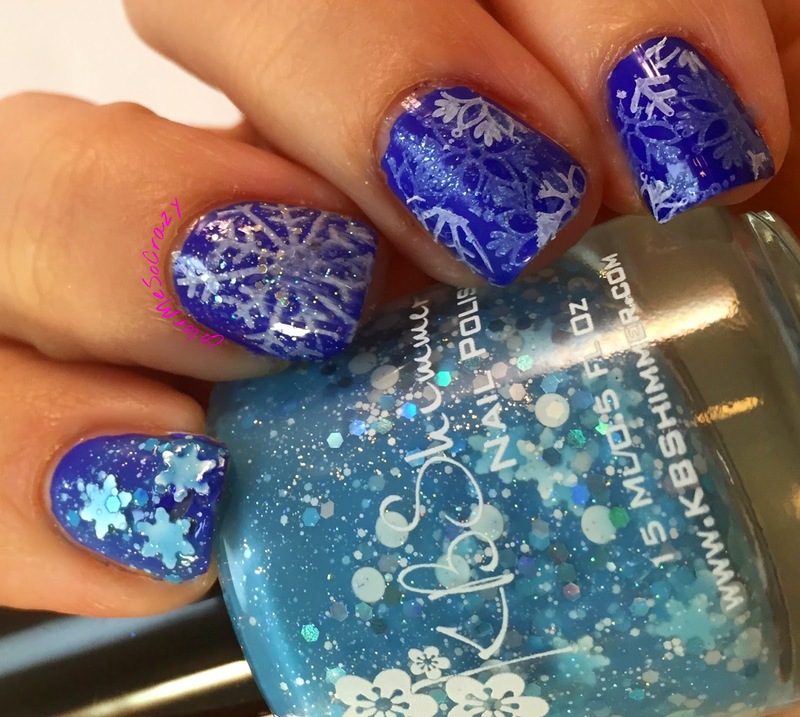 What Holiday Polishes do you own? 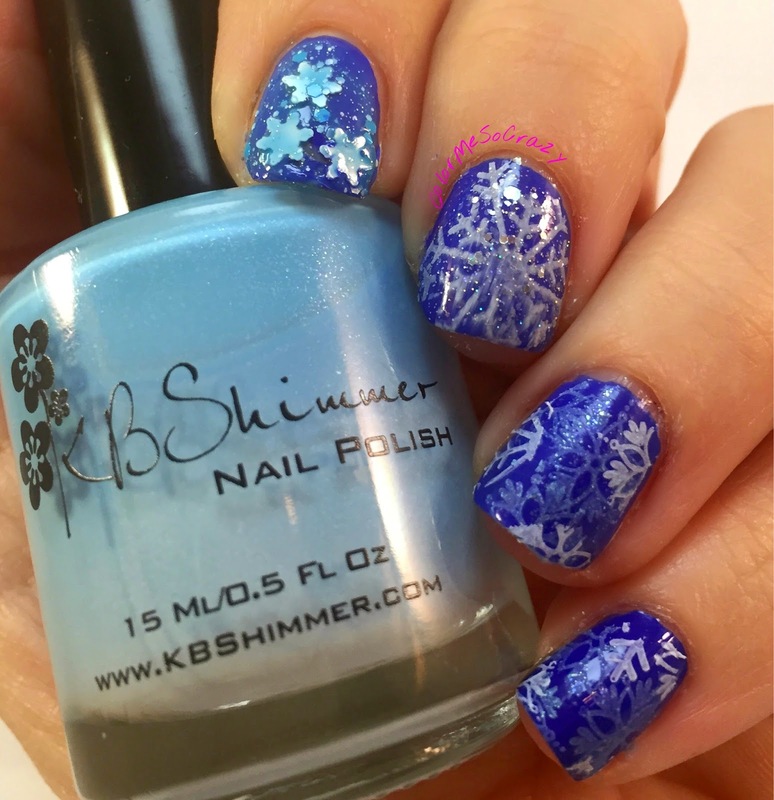 Do you have any KB Shimmer Holiday Polishes that feature a fun shaped glitters? Do you own any other polishes with different shaped glitters?